that all men are created equal." On September 17th, men and women of all races, backgrounds, political and religious beliefs, began to organize in nonviolent protest. These men and women represent the 99% with the goal of ending the greed and corruption of the wealthiest 1% of America. Occupy Wall Street is a leaderless resistance movement which began as a call to action from Adbusters, a Canadian-based anti-consumerist organization. The original projections for the protest were to be between 20,000–90,000 participants. However, when only a little over a thousand protestors showed up the first day, it was labeled a bust. In the days to follow, more and more people have joined the protestors as they spend day and night in Liberty Square. but in echoes across this nation." "In every facet of this movement, we are only beginning." My phone rang. I was told to turn on the TV. I stared in horror at the screen as a plane flew directly into the 2nd tower of The World Trade Center. I thought: How is this possible in America, let alone New York City, the most populous city in the U.S, the largest metropolitan area in the world? All I knew is that people were dying. After 9/11, every available person volunteered to assist NYC ranging from the health care field, firefighters, police force, and everyday people. The attitude in America was one of solidarity. No one fought about religion and politics. Diversity in race, financial status or sexual gender was not an issue. People stood together. Not apart. What followed as a result, was and still is, global mass hysteria. Pearl Harbor Naval Base was attacked by 353 Japanese fighters in 2 crushing waves. 2,402 men were killed with 1,282 wounded. Pearl Harbor led the U.S. into World War II. The intention behind the attack on Pearl Harbor was for Japan to conquer Southeast Asia without interference. 1945: The United States bombed Hiroshima and Nagasaki in Japan killing 80,000 people under President Truman's Executive Order 9981. To date, this is the only use of nuclear weapons during war. 1988: Congress passed legislation and President Ronald Reagan signed, apologizing for the internment of Japanese on behalf of the U.S. government. During the Soviet Invasion of Afghanistan, the U.S., Saudi Arabia, UK, Pakistan, Israel, Taiwan, Indonesia and China all offered "unofficial" military and/or financial support [Operation Cyclone] to the people in the struggle. The USSR supported the government of Afghanistan against the Afghan people and Arab- Afghan volunteers. Soviet occupation had an opposite effect. It did not pacify the people, it gave them power in strength and number. Foreigners wished to be a part of this global movement including a young Saudi named Osama bin Laden. 1985: National Security Decision Directive 166: The CIA and ISI pressured Afghan militants to attack government strongholds. The CIA began programs for training militants in techniques such as car bombs, assassinations, and cross border raids into the USSR. Pakistan's ISI and SSG, U.S. Special Forces and British Air, supported the training. 1989: The Geneva accords allowed for withdrawal and Soviet troops left Afghanistan. US President Carter stated: the Soviet incursion was "the most serious threat to peace since the Second World War." [wealthy Saudi bin Laden family] believed in the need for fighting for injustices against Muslims by the U.S. and other non-Muslim states, to eliminate the state of Israel and to force the U. S. from the Middle East. What may have began as a resistance movement, turned into a strategy against the USSR and the U.S. to lure them into long wars in Muslim countries. Osama attracted large numbers of people in the struggle who would never surrender. bin Laden believed this would lead to economic collapse of a nation. bin Laden was a part of Operation Cyclone [where young men were trained by several nations on terrorism] during the Soviet-Afghan War. [The Base] is a global military group initially formed as a resistance movement, that turned into global extremist groups with various disconnected movements. Al-Qaeda's network was built from the bottom up, eventually with bin Laden as Commander and al-Zawahiri as Deputy until Osama's death. The number of well trained militants inside and people supporting the group is unknown. The latter goal of "Al-Qaeda" was to weaken America by involving the nation in too many engagements, collapsing political stability, resulting in economic downfall. 2001: U.S. forces recover a videotape from a house in Jalalabad, Afghanistan with bin Laden speaking to al-Harbi [Saudi Nationalist] admitting to having foreknowledge of the attacks. Al Jazeera broadcast Bin Laden stating, "I stress that I have not carried out this act, which appears to have been carried out by individuals with their own motivation." 2001: 2nd Bin Laden video released stating: "Terrorism against America deserves to be praised because it was a response to injustice, aimed at forcing America to stop its support for Israel, which kills our people", yet bin Laden never admitted responsibility. 2004: Before U.S. Presidential elections, bin Laden said he had personally directed his followers to attack the World Trade Center. 2006: Al Jazeera shows bin Laden making preparations for the attacks. 6 WTC housed the U.S. Customs Service and Commodities Exchange. Beneath was the NYC mass transit subway system and Port Authority. The Two Towers were in the heart of NYC's financial district. The North Tower was designed for housing telecommunications: all NYC television and radio broadcasters. The 7 structures of the WTC consisted of: The State of NY, financial firms of Wall Street, Morgan Stanley, Aon Corporation, Salomon Brothers, Cantor Fitzgerald, and the Port Authority. Underneath the WTC, one of the world's largest gold depositories was stored, owned by commercial banks. The Port Authority leased the WTC to a private entity, Silverstein [$3.22 billion] that added the WTC to the city's tax rolls and private funds for Port Authority projects. Two American Airlines 767 jets crashed into the Twin Towers of The World Trade Center in New York City. The South Tower burned for almost an hour, collapsing, followed by the North Tower. American Airlines Flight 77 flew into the Pentagon in Arlington, Virginia. American Airlines Flight 93 crashed into a field in Pennsylvania. The supposed target: The Capitol or The White House. 1,344 people were trapped. 700 people were killed instantly. People made their way toward the roof but the doors were locked. 200 people fell or jumped to their deaths. 411 emergency workers died as they rescued people. All the deaths were civilians, except for 55 military personnel at the Pentagon. The medical examiner's office collected 10,000 unidentified bone and tissue fragments that can't be matched. 1,122 of the victims remained unidentified. The death toll was estimated over 6,000. President Bush's approval rating soared to 90% before 2002 elections and the U.S government began the "Global War on Terror" targeting the government named culprit, "Al-Qaeda." Hate crimes against Muslims and Southeast Asians ensued: verbal abuse, attacks on mosques, religious buildings [including Hindu temples], assaults on people, and in some instances, murder. 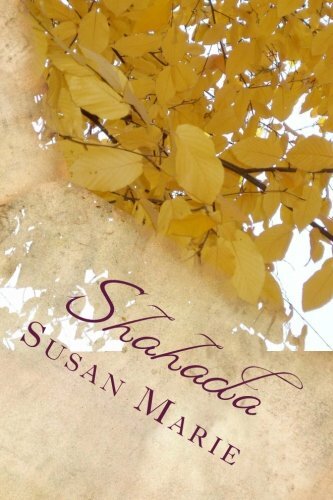 Anyone perceived to be "Middle Eastern" were victims. One month after the attacks, the U.S led a coalition of "international forces" to attempt to remove the Taliban for training [see Operation Cyclone] of Al-Qaeda in Afghanistan. Pakistani authorities provided the U.S. with access to military bases, arresting and handing the U.S. over 600 "suspected" Al-Qaeda members. The U.S. set up "Guantanamo Bay Detention Camp" to hold inmates they defined as "illegal enemy combatants" currently holding 172 prisoners in Cuba. 2600 men are still being held indefinitely in Afghanistan at Bagram Air Base. During the Bush Administration, Bagram prison held up to 650 prisoners. Since the Obama Administration, the number has doubled. The Dept. of Homeland Security was formed. Congress passed "The Patriot Act" that allows law enforcement to invade the privacy of its citizens. The U.S. never formally indicted bin Laden for the 9/11 attacks. Bin Laden was killed by American forces in Abbotabad, Pakistan. In the end, tens of thousands of people were killed. To think critically, one must study history, politics, culture, tradition, and socio-economic structures of nations. There are no absolutes, the only truth apparent regarding 9/11, is that many nations had roles in all events preceding and post 9/11. None of these events were in the interests of the citizens of each nation. We must attempt, in the very least, to discern the reasons behind each action. We must stop judging one another based upon the actions of our governments. We must think rationally in order to understand what has, is and will occur in our world. "Terrorism has no face, no race, no religion, no culture nor nation." More than two decades on, the Committee seeks to give practical application to freedom of opinion and expression in the radically altered media landscape which has the internet and mobile communications centre-stage. Any restrictions that might be applied to websites, blogs or any other internet-based networks or support systems should be limited, the Committee says, to content only and should not be applied to entire sites and systems. In the context of permissible restrictions generally, the Committee recommends extreme caution and provides many examples of situations where the urge to restrict freedom of expression should be resisted. There are no circumstances which justify limiting freedom of opinion, the Committee notes in its revised General Comment. Lawmakers, judges, prosecutors, lawyers, human rights defenders, journalists and others will turn to the General Comment for guidance on the scope and practical applications of the rights to freedom of opinion and expression. In the International Covenant on Civil and Political Rights which sets out the right to freedom of expression, only two situations are described which justify its limitation: respect of the rights or reputations of others and protection of national security or of public order, or of public health or morals. The Covenant also prohibits advocacy of religious hatred. The Committee notes that the Convention places a particularly high value on uninhibited debate concerning political figures and public institutions. Laws which prohibit or restrict criticism of important people and institutions are cause for concern the Committee says. “The mere fact that forms of expression are considered to be insulting to a public figure is not sufficient to justify the imposition of penalties… all public figures, including those exercising the highest political authority such as heads of state and government, are legitimately subject to criticism and political opposition.” The same should apply to institutions such as the army. “That means,” he says, “we have to put up with a lot of speech that we don’t like." I was in Seoul, South Korea this month at the invitation of the wonderful EBS TV Documentary Festival, and was truly, happily surprised to see a resurgence of activism among ordinary Koreans. Don't get me wrong. Since its founding, Korea has had a tradition of fierce, die-hard activism (which Koreans themselves may attribute to a diet high in garlic and red pepper, as well as their commitment to social justice), but this ferocity seemed to have gone dormant in the mid-nineties. I was overjoyed to find that this was no longer the case. While in Korea, I had the opportunity to slip away to Jeju-do for a few days. It had been 20 years since the last time I had visited the island, when I had gone for vacation like most visitors to Jeju-do. An idyllic, sub-tropical climate and a UNESCO heritage site status have made Jeju-do an extremely popular tourist and honeymoon destination, while the remoteness of the island from mainland Korea has bred a unique and independent culture. In 2005, Jeju-do was dubbed "Island of World Peace" by then Korean president Roh Moo-hyun. This was perhaps in an effort to scrub itself clean of a bloody past, as Jeju-do is the site of one of the most disturbing and grisly episodes leading up to the Korean War​. Under the leadership of American puppet Syngman Rhee​, right-wing paramilitary forces from the mainland waged a brutal campaign against a "communist" uprising which, at the most conservative estimates, killed 30,000 people (one-tenth of the population of the island) and displaced countless others. This memory of the April 3, 1948 massacre is still vivid in the minds of Jeju-do villagers, who are once again mobilizing against repression. One might also see this designation of "peace island" as a hopeful talisman against further abuse, but for several years the South Korean government, at American urging, has been relentless in its attempts to build a naval base on Jeju-do, and now have their sights set on the tranquil coastal village of Gangjeong. Members from the international community, including Japanese people from Okinawa Island (where the U.S. has military bases) join locals in Jeju Island to protest against the construction of a U.S. naval base. While offering several reasons for building the base -- to protect commercial interests, to serve as yet another defense against a belligerent North Korea -- most of the islanders understand that the base at Gangjeong will offer little protection against a possible attack by North Korea, functioning mostly as a proxy for American missile defense against an ascendant China. In other words, American militaristic posturing at a grievous cost to the local ecology -- an unwelcome combination to the island, and to a region that has suffered enough war in the 20th century. The Jeju-do I visited this time around was radically different from my previous experience. In addition to water sports and walks along the shoreline, the people there were engaged in some less likely activities for a paradise island, like chaining themselves to construction equipment, tethering their bodies to each other and to the site of the proposed naval base. I also attended the celebratory release of Sung Hee Choi, an artist who was being released from jail after three months and remains on probation. Her crime, like so many others protesting the base, was "obstructing business" -- in Choi's case, standing in front of oncoming cement trucks. Choi was in good company, as people from all sectors of the community, including the mayor of Gangjeong, have also been brutalized and imprisoned by police forces. Upon my arrival, I have learned that an additional 600 riot police, including water cannons and riot buses had been imported from the mainland in anticipation of larger protests, leaving the community on edge. Korean activists prepare to chain themselves to construction equipment, tethering their bodies to each other and to the site of the proposed U.S. naval base. Back on the mainland, things are equally restless. As the economy lags, and the government of South Korea moves increasingly to the right, labor has suffered greatly. Enter Jin-suk Kim and her "aerial protest." In the southern coastal city of Pusan, a woman named Jin-suk Kim has been confining herself in a high-rise crane for nearly eight months. Kim is a member of the Korean Confederation of Trade Unions (KCTU), and has been up in crane no. 85 in the Yeongdo shipyard since January 6, in protest of severe layoffs by the Hanjin corporation (HHIC). Incidentally, crane no. 85 was the site of another protest eight years ago -- but rather than a prolonged sit-in inside the crane, the protestor in question preferred to string a noose and hang himself from it. Although initially flying solo in her aerial protest, Kim is not alone. Caravans of "Hope Buses" carrying thousands of supporters have been visiting the crane area to offer their support. Like the protests on Jeju-do, this has not been without obstacles -- one caravan was met with batons, tear gas, and water cannons as they tried to push the police line. The founder of the Hope Bus campaign, a poet named Kyung-dong Song, himself stands a vigil of sorts in the KCTU trade union offices in Seoul. If he leaves KCTU safe haven, he will be immediately arrested by the police hovering around the building day and night, waiting for that opportunity. This is the price Mr. Song will pay for successfully "obstructing business" and organizing large demonstrations without a government permit. Again, just this past weekend in Seoul, hundreds of miles from the no. 85 crane in Pusan, 9,000 police have been deployed to disrupt around 2,500 "Hope Bus" protestors demonstrating against the Hanjin layoffs with water cannons and other means of force. Hanjin is hardly the only corporation being targeted by this resurgent labor movement. The ordinary citizens who protest the naval base on Jeju are also protesting Samsung, a chaebol (family-run mega-corporation), which has offered obscene bonuses to upper management while laying off thousands of workers, and which stands to profit from the construction of the base in Gangjeong. And here we find a lovely coalescence, as these protestors are not "labor," strictly speaking. Many of the activists I met in Korea told me how inspired they have been by the Arab Spring protests, and of their hope for a similar "Asian Spring" in South Korea and elsewhere to fight against corporate greed and militarism. Accordingly, the Hope Bus campaign found support not only from labor, but from the disabled, sexual minorities, religious figures, and other groups, all of whom stand unequivocally opposed to the immoral practices of the chaebol culture. And it is not only Koreans getting involved. Renowned American feminist Gloria Steinem​ has offered her voice in support of the protestors on Jeju-do, and prominent anti-war activists from the west have arrived on the island to join in the opposition. Figures like Noam Chomsky are coming out in support of Jin-suk Kim and the Hope Buses. What I saw in Korea was a beautiful thing, true solidarity among people of different interests and nationalities, thousands of people, ordinary people, who have found that when they speak as one, it is impossible not to hear them. Exclusive cartoon by Brazilian artist Carlos Latuff, hero cartoonist of FREE PALESTINE cause. 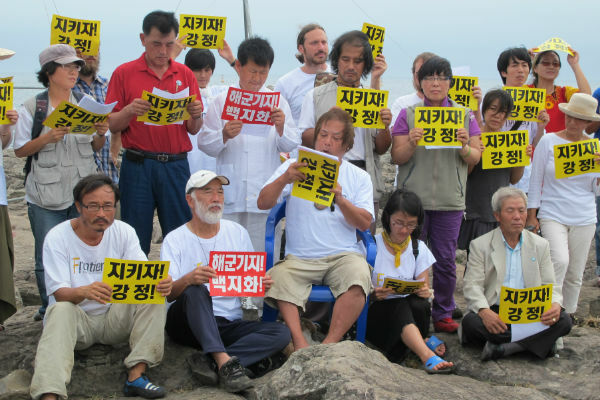 Here he extends support to Jeju Island villagers who protest against the construction of the U.S. naval base. 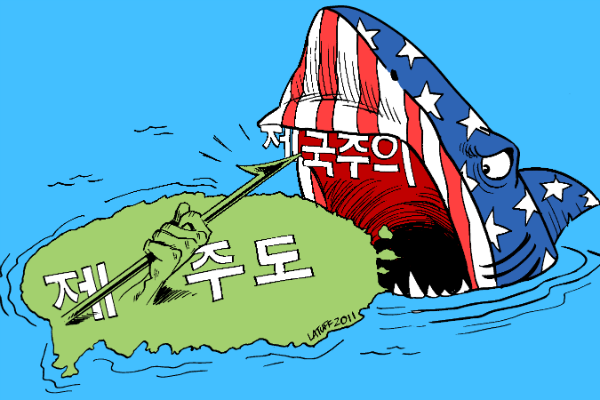 cartoon translation: shark's teeth IMPERIALISM bites green Unesco site JEJU ISLAND ... but locals resist!! !